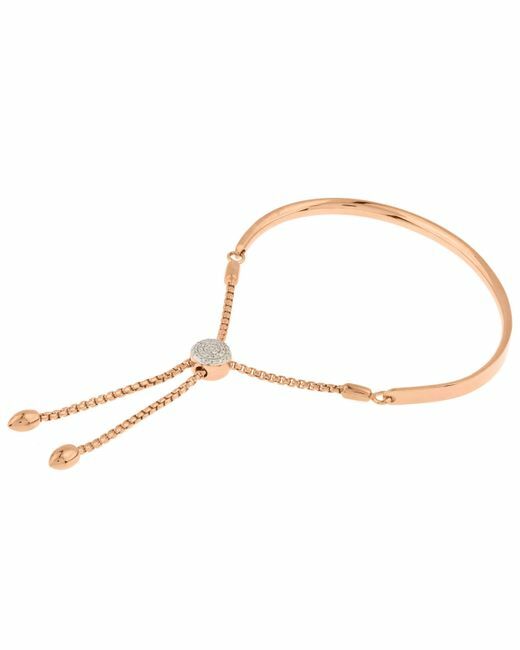 Monica Vinader's original iconic Fiji friendship bracelet appears here in rose gold vermeil with a matching cord-like chain and a diamond-encrusted toggle. 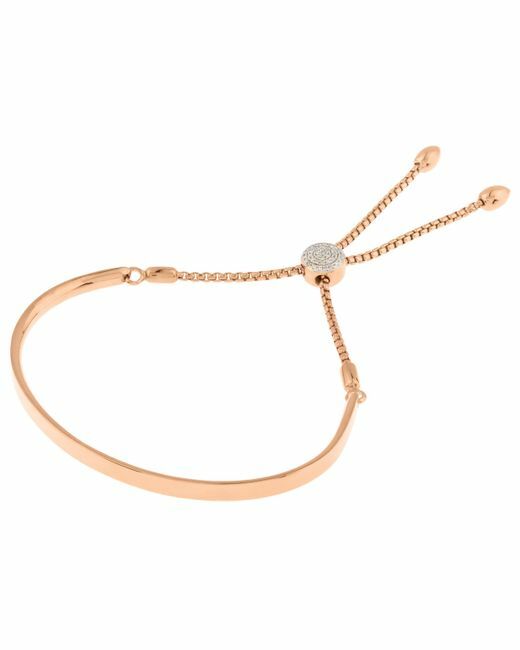 In a new and refreshing take on everday fine jewellery, this elegantly understated bracelet features a smooth, curved 18 carat rose gold vermeil bar - perfectly suited to engraving. Designed with comfort in mind, the polished metal is offset by a delicate cord-like chain that can be adjusted with the pavé diamond-encrusted toggle slider for a snug fit. 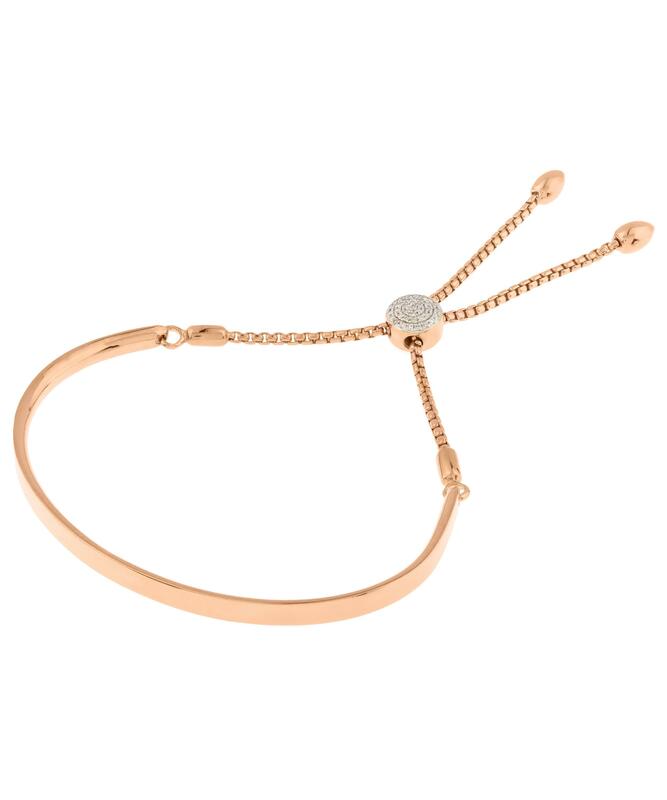 The ideal gift for a friend or loved one, it can be worn alone for statement appeal or stacked with other friendship bracelets for a custom contemporary look. 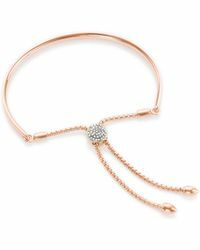 Rose gold vermeil Fiji friendship bracelet. Long curved bar feature. Slim cord-like chain. Pavé diamond-encrusted toggle fastening. Adjustable length. Suitable for engraving. 18ct Rose Gold Vermeil on Sterling Silver; 0.10ct Diamonds. Full L: 23cm, Bar L: 12.3cm. 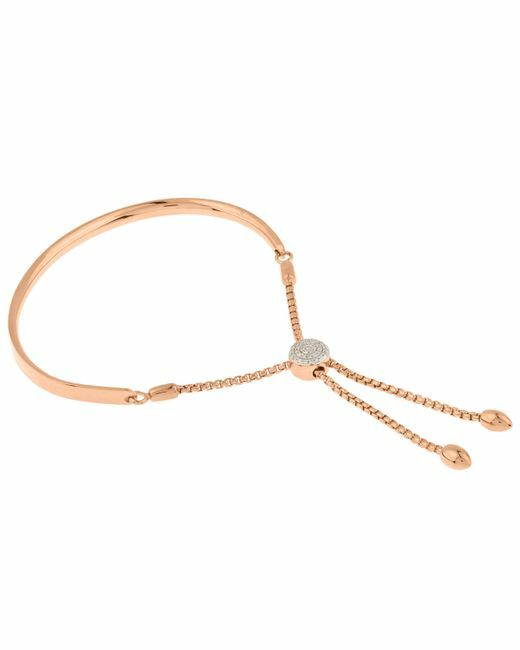 Monica Vinader launched her eponymous jewellery line in 2002 with the aim of creating simple, affordable, striking pieces using real stones and precious metals; discover each design story here, from Fiji bracelets to the simpler pieces that refine any look. Buying a gift? Make it personal with our complimentary engraving service, available on select styles online and in-store.